Going back to their adventurous roots, our Rover Scouts spent a windy December weekend Rock Climbing, Mountaineering and White Water Kayaking. The Mountaineers completed no less than seven peaks: Nab Scar, Lord Crag, Heron Pike (612m), Great Rigg (766m), Fairfield (873m), Hart Crag (822m), Dove Crag (792m), High Pike (656m) and Low Pike (508m). 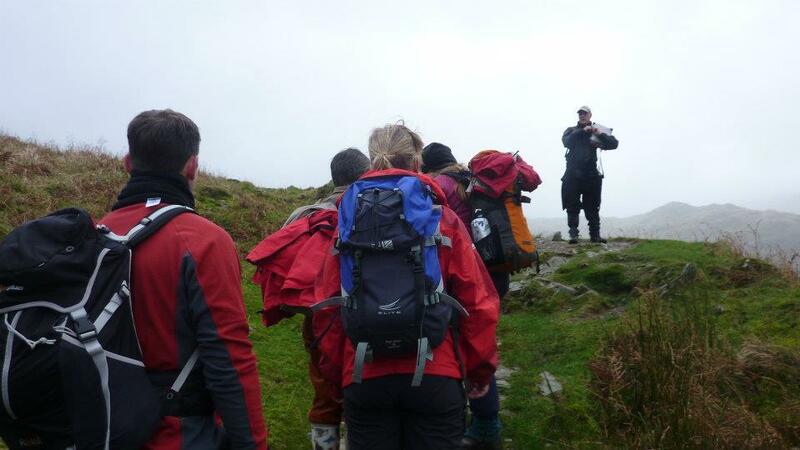 Conditions were very difficult with low cloud, intense rain and incredibly powerful winds to challenge not only everyone's fitness and confidence; but also their ability to work together as a team. Given the name, the Rock Climbers appropriatlly visited Scout Rock in the Langdales. On Saturday they climbed Cubs Groove (Very Difficult) Cubs Wall (Very Difficult) and fell off Cubs Crack (Severe). Visiting again on the Sunday, they added Cub's Arete (Severe) to the list. The Kayakers sucessfully completed the Rivery Rothay; a four mile long Grade 2 river with brief stints across Grasmere, Rydall Water and finally Windermere. The first of these two lakes would normally be a gentle cruise whilst being able to admire the scenery; instead the winds presented a more interesting test for the Rover Scouts to overcome. Arriving safely at Ambleside, the Rover Scouts enjoyed a well-deserved lunch! To learn a little more about Rover Scouting's roots, our team was lucky enough to be joined by Colin Walker. As a Scout Historian, Colin has published several books and has compiled one of the most comprehensive websites on the subject of our collective history (Scouting Milestones). Colin was kind enough to present a short history of the Rover Scouts. A very exciting day - thanks for leading us! Thanks Ninette. It was a great experience. Wet windy but great fun and an a well named crag for us. Colin Walker said; "It was great meetng up with you at Rydal Hall on Saturday. The weather outside may gave been rough but the company and the cooking were excellent. Many thanks.". Want to get involved next time?